The 2016 Nisei Week Showoff Car Show will be held Saturday, with more than 350 automobiles on display. 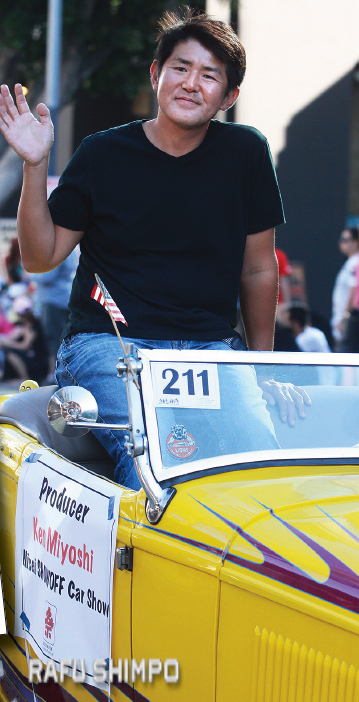 The event, organized by Mainstream Productions President Ken Miyoshi (pictured below in Sunday’s Nisei Week Parade), will feature the West Coast’s top show cars, competing for cash prizes and trophies. 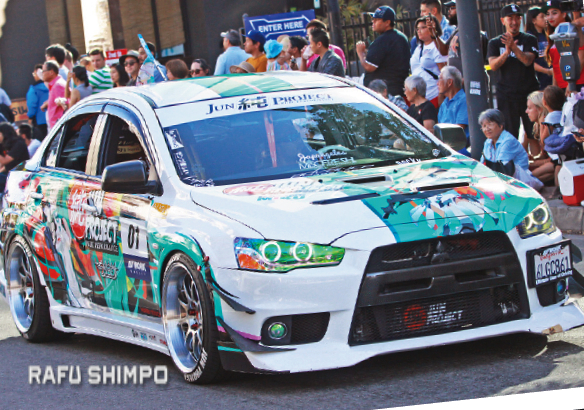 The show runs from noon to 7 p.m. on Aug. 20 at the Aiso Parking Garage, 101 Judge John Aiso St., at the intersection with First Street. General admission is $15, with kids 12 and under admitted free.